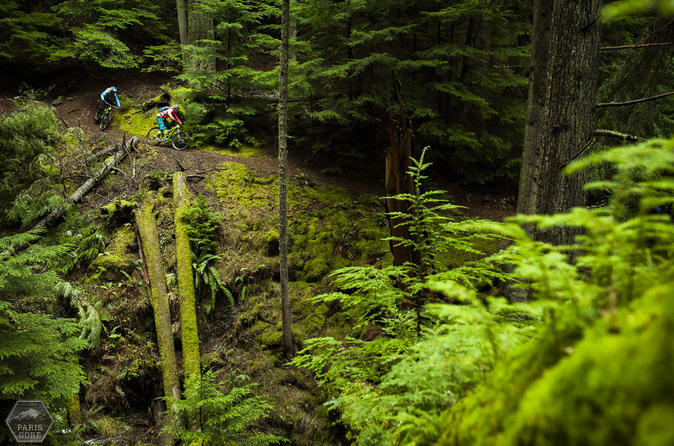 Gear up for some super fun single-track riding on the Adventure Route section of the Olympic Discovery Trail. You’ll coast through Douglas Fir forest with scenery of the Olympic Mountains, Olympic National Park, the glacially fed Elwha River, and the Strait of Juan de Fuca. This is the ultimate combination for a memorable day of Northwest outdoor recreation at its best! Start your morning from the seat of a sea kayak exploring the rugged shoreline and hanging out with the wildlife, enjoy lunch, then it's off to the forest for an afternoon of singletrack mountain biking. Now this is living the good life! 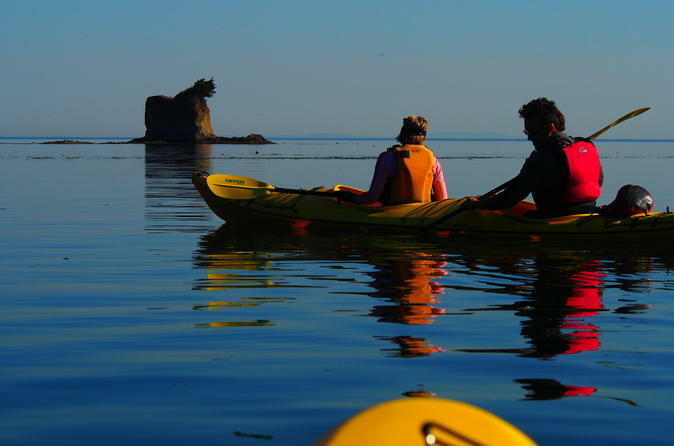 Experience a memorable sea kayaking excursion near Olympic National Park; a hands on adventure that is scenic, educational, and a fantastic opportunity for viewing a variety of wildlife including seals, otters, eagles marine birds and invertebrates such as sea stars, urchins and anemones. 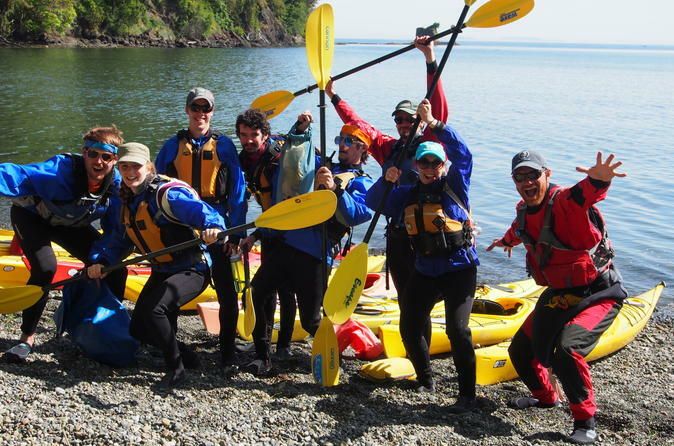 You will be completely outfitted in all the gear and a stable kayak suitable for your paddling experience. 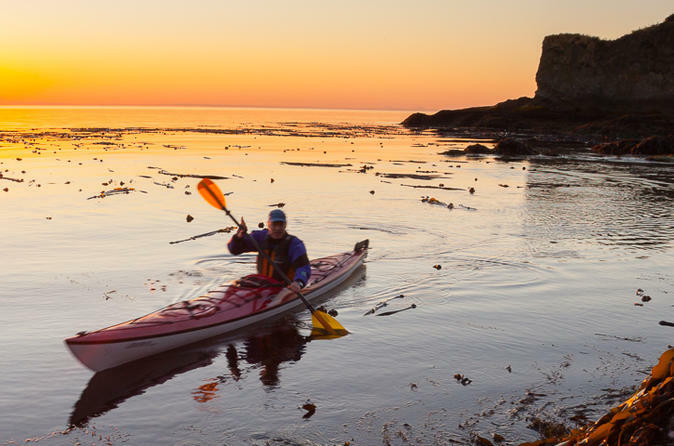 Soak up the solitude and awe inspiring scenery while kayaking along the cliff laden shoreline. You will have some of the best opportunities to enjoy wildlife closely including seals, otters, eagles, other marine birds and invertebrates.